Mainline dentist Dr. Jeff Snider has been helping people improve their smiles and restore their mouths to full health and function for over 25 years. He is known by his patients for his excellent care and his pain-free techniques. He has dedicated his practice to pursuing the best in dental care, including equipping his office with the latest hi-tech equipment. Our practice provides a full range of general and cosmetic services to keep your teeth healthy and beautiful, by one of the most knowledgeable dentists in Philadelphia. And in a recent independent survey, Dr. Snider was given a 100% satisfaction rating by his patients. Click here to find out more about the services we offer and how we can help you with your dental treatment. We use state-of-the-art procedures and devices to provide accurate, efficient, gentle and minimally invasive dentistry. This includes digital and panoramic X-rays, gentle lasers for cosmetic gum treatment and air abrasion as an alternative to drilling for fillings. 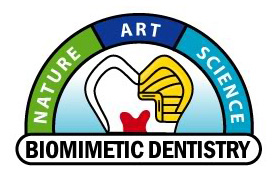 Dr. Snider is a Biomimetic-trained dentist. He uses conservative procedures to protect and conserve the structure of your teeth. This helps prevent cracks and cavities in which bacteria can infect and eventually destroy teeth. Many conventional dental procedures can compromise tooth structure through extensive drilling or cutting, which can be avoided with Biomimetic dentistry. Our office is designed to make you feel comfortable and welcome. 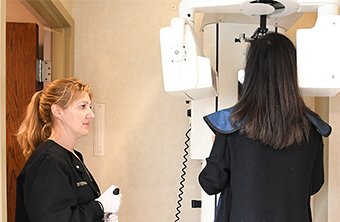 We believe in making our patients feel at ease, and we will address any concerns you have and answer any questions about your treatment. 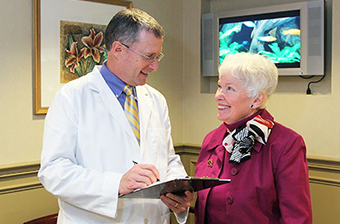 Dr. Snider makes sure you feel comfortable and that you feel no pain during any procedure. You will find all our staff friendly and caring.